Available at all Colorbar outlets, stores and most online stores. 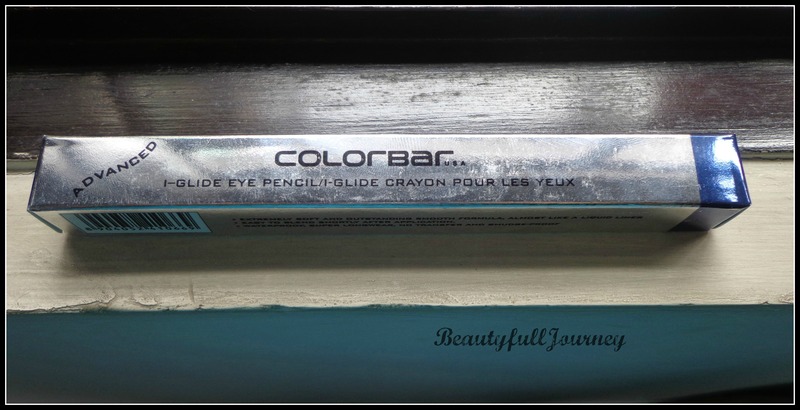 Colorbar iglides are my favourite eyeliners 🙂 and this shade particularly is one of my all time favourite shades too. It’s not such a daily wear shade and is especially great for parties. I hate how Colorbar keeps increasing their prices. I had bought all my 4 iglides in those golden days when these were priced below Rs.350! now, I definitely hesitate in buying another because these are no more in the more affordable bracket in the market. But still, believe me, once you try these, you wont feel like going to any other pencil! 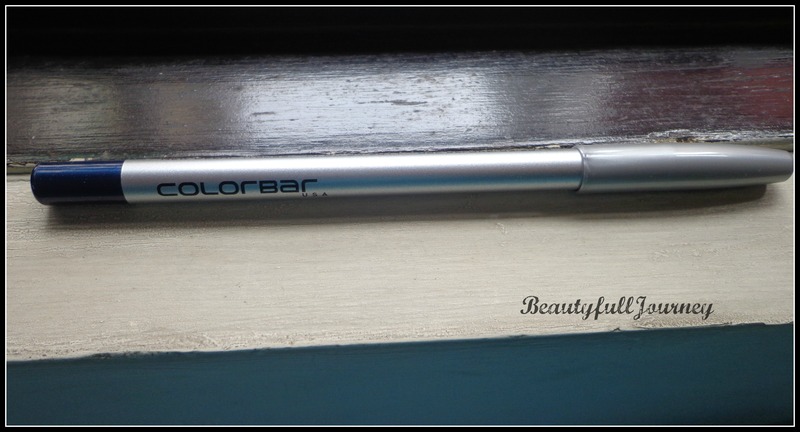 The Colorbar iglide pencil comes in an outer silver carton which is the standard Colorbar carton. The pencil itself too is silver with a silver cap and has a coloured bottom corresponding to the shade. This is very useful to spot the particular shade from a bunch of pencils. The pencil is very sleek and looks good! The cap shuts tightly so it’s perfectly travel friendly. It’s a sharpenable pencil and can be sharpened easily with a regular sharpener. I use the Lakme dual sharpener. I personally prefer sharpenable pencils over the retractable ones and hence it’s an added bonus for me here. The texture is by far the best I’ve ever used. It is very creamy and goes on very smoothly like butter on the eyelids. The good part is that it is not so creamy that it would break off at the slightest pressure. But yes, 1-2 times my pencil’s tip broke off while sharpening so you have to be careful about that. This range has 11 shades in all according to the website. They have a great range with shades ranging from basic brown and black t purple, turquoise, green and even pink has been launched recently I think. I have 4 of them and I’ll show you swatches of all of them soon! 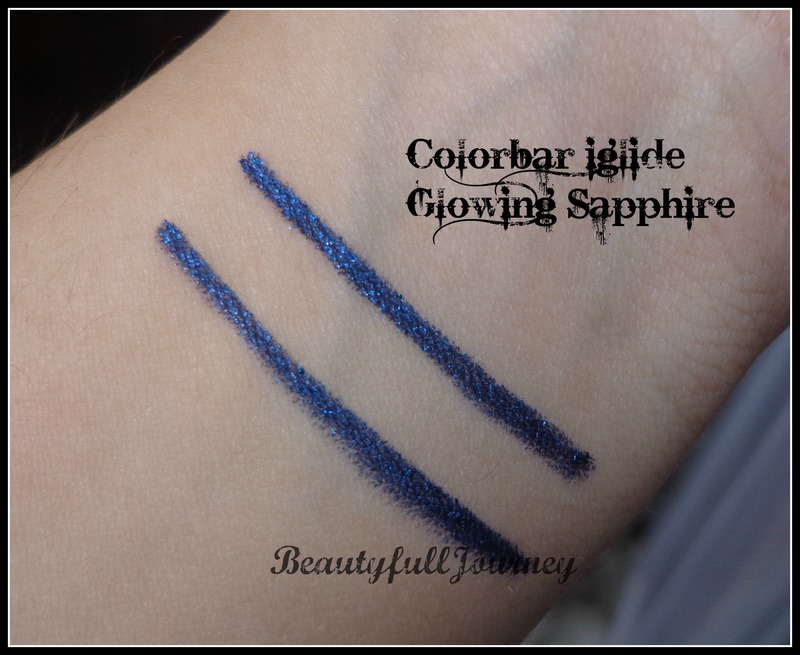 This shade, Glowing Sapphire, is the most gorgeous blue I’ve ever seen. 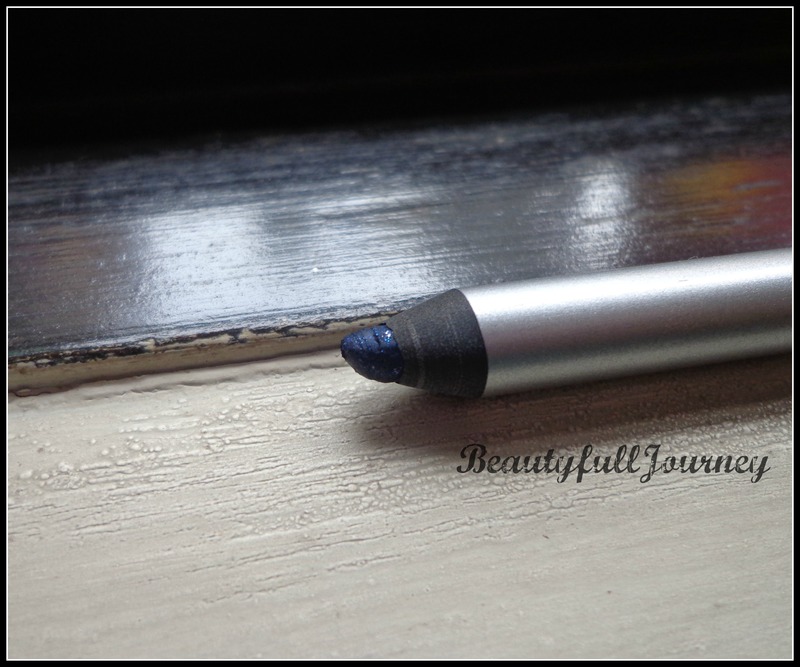 It’s very close to MAC pearlglide eyeliner – Petrol Blue. I don’t own it but I know because I’ve lusted after that liner for ages and that shade used to haunt me in my dreams too but I decided to be wise and get this instead at one third of the price. 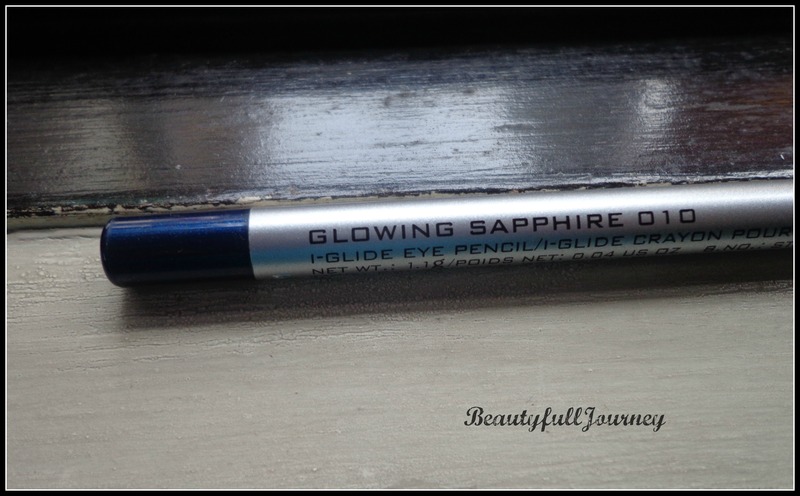 Glowing Sapphire is a true sapphire blue and it has blue shimmers. It’s very well pigmented and in 1 swipe you get good amount of colour. In the swatches below, the bottom line is 1 swipe and top one is 2-3 swipes. The eye pencil is smugeproof once it sets and that is just after maybe 10 seconds. It is also waterproof and doesn’t budge from my eyelid for almost 7 hours. I have not worn it beyond 7 hours and after that I removed it with an oil based makeup remover and it came off easily. 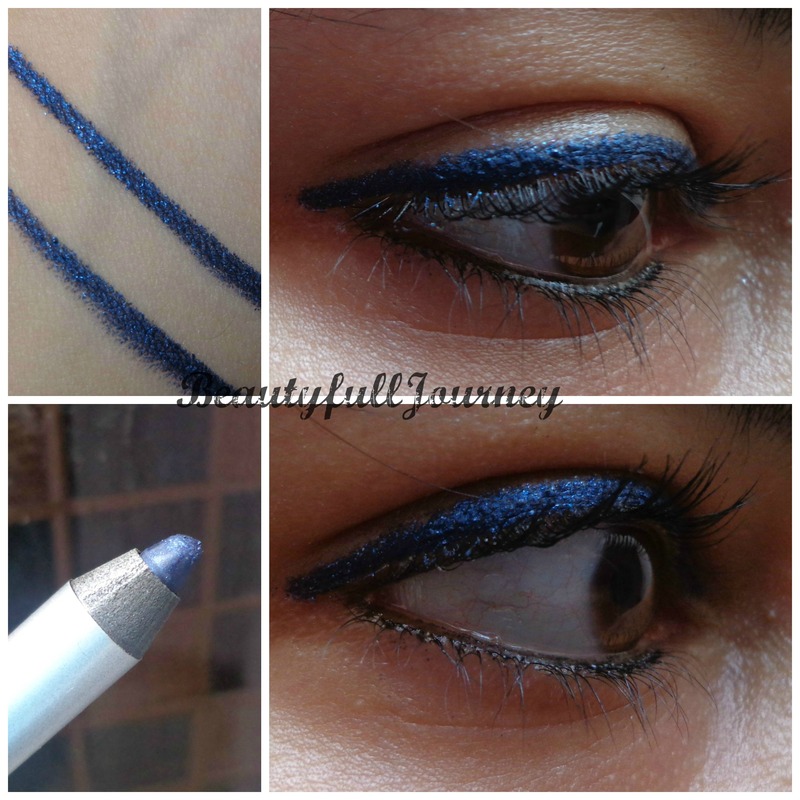 Since this shade has some shimmer, while removing the shimmer tends to spread around the eye. Overall, these are brilliant pencils and I must say, the best in the market 🙂 these are a must have in my opinion. Do get a shade you like 🙂 I love these pencils and highly recommend them to everyone! 2) Convenient and travel friendly packaging. 3) Buttery soft and creamy texture. 8) Stays for 7 hours easily. 2) Tends to break while sharpening. 3) Shimmer can spread around. Next > The A to Z of my beauty stash. Such a gorgeous shade .. I loved the pigmentation .. I’m getting it home pretty soon .. !! Lovely Eye swatches 🙂 ❤ shade looks stunning on you ! !